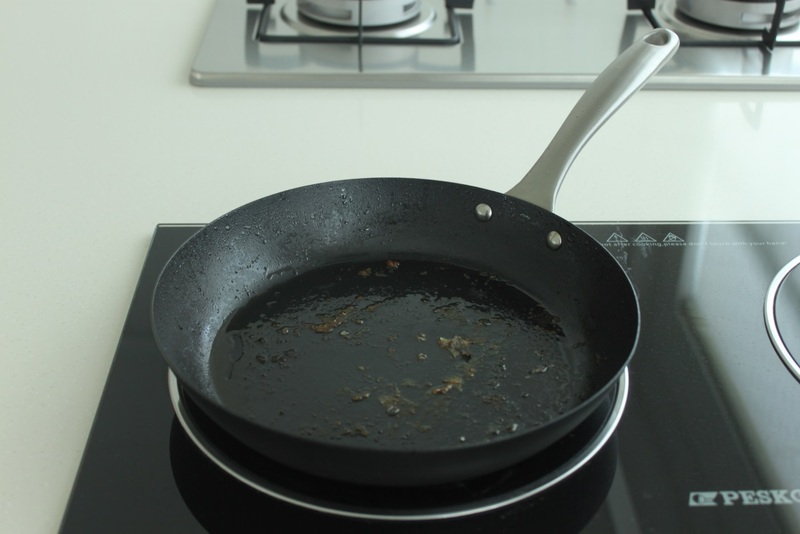 As explained here, if you discover that the non-stick performance of your Lotus Rock pan has become impaired then there is a procedure to renew it. However, if a Lotus Rock pan is maintained well then this non-stick renewal procedure should only have to be used rarely, if at all. Lotus Rock is such a unique and highly innovative product precisely because it doesn’t solely fall into any of these categories. Although it does have a non-stick release, Lotus Rock is highly distinctive in the market because the non-stick is PTFE/PFOA free and it doesn’t use sol-gel technology like a general ceramic coating. Also, unlike a chemical non-stick coating, Lotus Rock is metal utensil safe and it has high heat resistance. 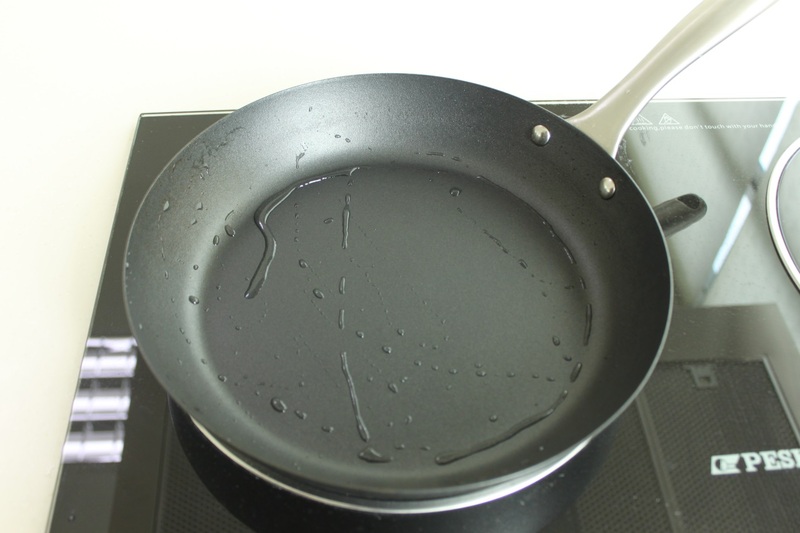 Stainless steel of course does have excellent scratch and heat resistance but it does not have as good a heating effect as Lotus Rock for browning and searing, and it needs to use a lot more oil to make the pan’s surface non-stick. In contrast to uncoated pans, Lotus Rock has a very thick layer of ceramic, in most case 4-5 times thicker than most PTFE non-stick coatings. 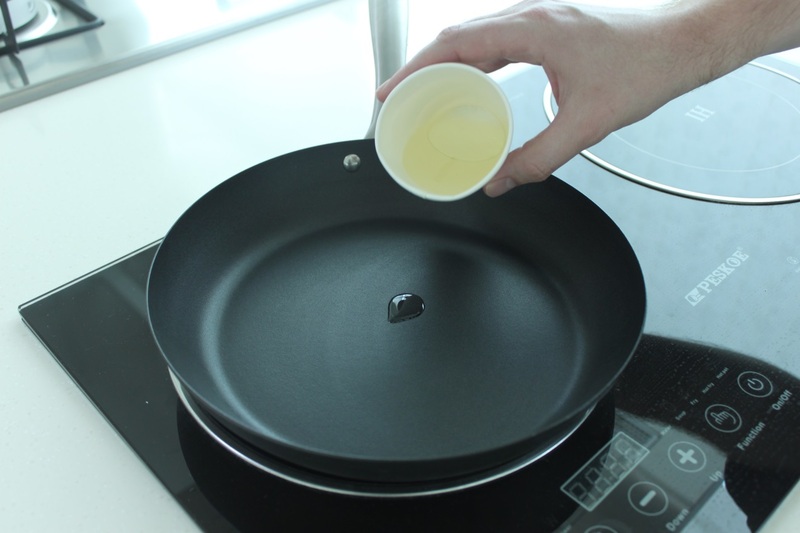 However, Lotus Rock is similar to uncoated cast iron and carbon steel in that the pans surface needs to be ‘seasoned‘ to create a natural non-stick release. But this is where the similarity ends, because with a Lotus Rock pan you aren’t bonding the oil to the steel but instead to the hard ceramic layer. 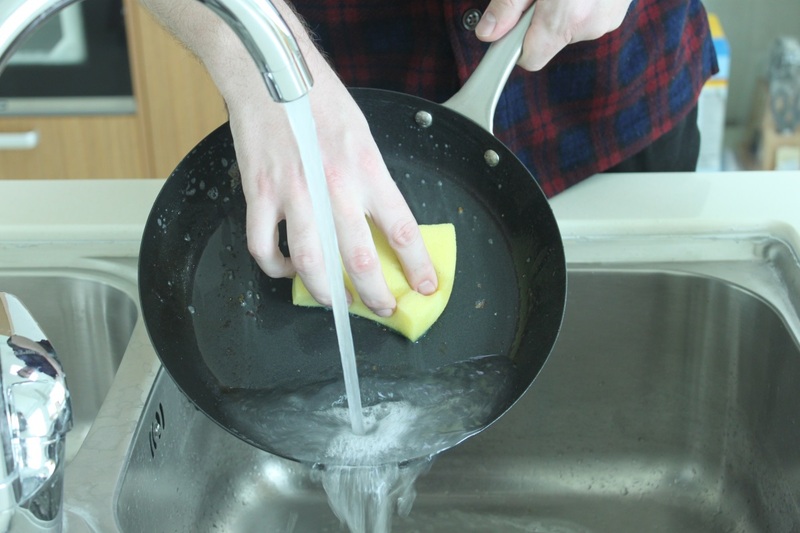 This has a number of advantages for a cookware utensil, such as: all acidic ingredients, and washing up detergent with an abrasive pad can be used freely without removing the seasoned coating. In addition, as long as the consumer does not aggresively mistreat a Lotus Rock pan it should not have to encounter some of the difficulties of rust that many uncoated cast iron or carbon steel pans quite often have. However, in terms of maintaining its non-stick release then it does help to think of Lotus Rock as either an uncoated cast iron or carbon steel pan. This is because when seasoning both Lotus Rock and uncoated cast iron/ steel pans they need to have the ‘pores’ of the pan’s surface opened up to create more space for oil to better bond to it. After the pan has been washed the best way to do this to dry it over a heated stove top to open up the ‘pores’ of the steel/ hard ceramic layer. Once this is done the consumer should then wipe a very thin layer of oil on the surface. 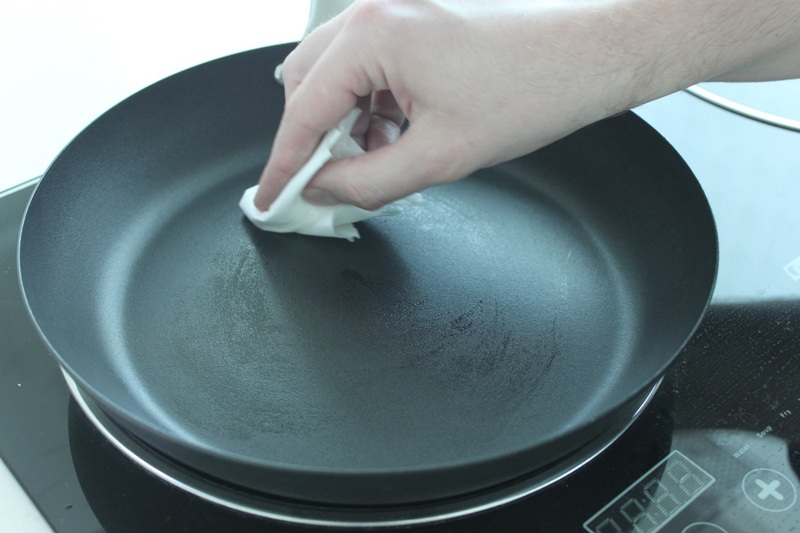 If a consumer treats a Lotus Rock pan in this way, just like they would with an uncoated cast iron/ carbon steel pan, then they can enjoy a non-stick release which will last for much longer than any general chemical non-stick coating. A roasting pan that can be used all the time, not just twice a year! I just bought this frying pan. Thanks for showing me how to use it correctly. I seasoned t wrong. Hope it works as well as you say it will.
. Dear Lois, thanks for getting in touch. Please let us know how you get on with the Lotus Rock frying pan. If you have any questions please don’t hesitate to contact us.